*Ask panel man to put the controller in manual mode for control loop and to put it on MOS for ESD loop. *Hook up HART Communicator and verify some parameters by refer to data sheet. Typical parameters are, tag number, PV, LRV and URV. *Isolate the instrument from the process and the purge system. WARNING – If the process is hazardous, please unsure proper flushing is done to remove the entire hazard. *Hook up a multimeter in series with the signal to the DCS to measure current signal. 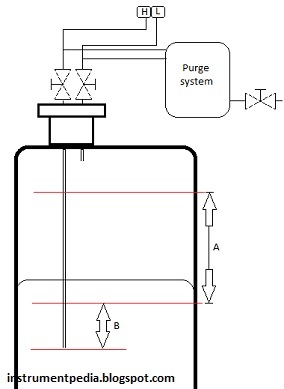 How to calibrate Differential pressure level transmitter for capillary type [with offset]? What is FOUNDATION Fieldbus ?